Remember when your car was a symbol of your independence? Having your own set of wheels meant having the freedom to go wherever and do whatever you wanted. As an adult, your car is essential to everyday life. It gets you to work, your kids to school and your errands accomplished—all day, every day. But you probably don’t see your car as an emblem of your freedom anymore. In fact, your car may sometimes feel like an anchor weighing down your budget and keeping you from reaching important money goals. We often accept that life with a car payment is an unbreakable cycle: If you want to drive, you have to pay the price, right? But it’s a myth, and you don’t have to accept it! With smart budgeting, it is possible to get rid of your car payment and save up to pay cash for your next car. How can you do it? Let’s start by taking a look at everything that goes into your transportation budget. Along with food, housing, utilities, and clothing, transportation is one of the first categories you should include in your budget each month. 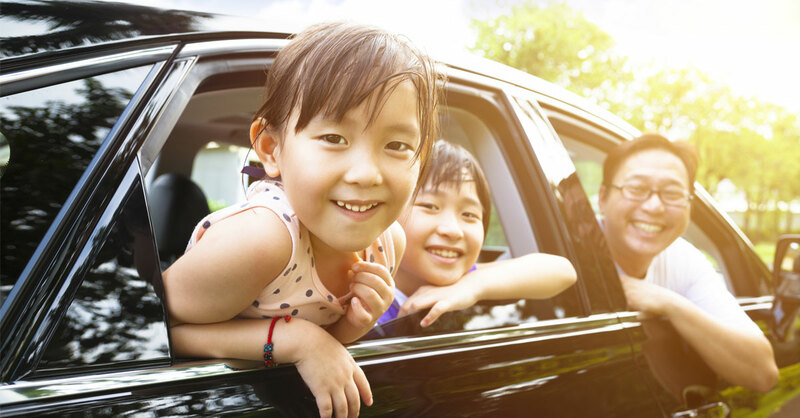 Line items in your transportation category include your car payment (if you have one), gas, oil changes, repairs and tires, auto insurance, license and taxes, and car replacement. Your first step is to put your car payment, no matter how much it is, into your debt snowball so you can pay it off as quickly as possible along with your other debts. While you work your debt snowball, don’t worry about your car-replacement fund. Instead, focus all your energy and extra money on becoming debt-free! Looking for an easy way to put extra money toward your car payment? You could save hundreds by reviewing your insurance policies and working with an independent insurance provider who can get the best deal for you. Connect with one of our Endorsed Local Providers, so they can shop and compare policies to find the right coverage at the best price. Now Start Budgeting for Your Next Car—Without a Payment! If you don’t have a car payment (or any other debt) you can begin working on your car-replacement fund. But remember: The main thing you are not going to do is go out and buy a new car with a new car loan. Why should you sign up for monthly payments plus thousands in interest when you don’t have to? Save up and pay cash and you’ll never have a car payment again! Using our example above, once your car is paid for, your monthly budget for transportation is just $365. With no debt hanging over your head and a good handle on your money, you can choose to save a monthly amount that works for your budget. Doesn’t that sound great? You get to choose! Let’s say you allocate $350 per month to your car-replacement fund. In just two years, you’ll have $8,400 plus your trade-in to buy a new-to-you car. That may not sound like much, but you’re not done yet. Let’s say that new-to-you car is worth $10,000. Continue saving $350 a month in your car-replacement fund for an additional two years and you’ll have another $8,400 plus your trade-in to upgrade your car again. Since we’re dealing with such a short time frame, your car will have retained most of its value, so this time you aim for a $15,000 car. See where this is going? By saving up cash, spotting great deals, and staying conservative in your purchases, you can upgrade your car every couple of years without ever taking out another car loan! If you have a longer window of time to save before you’re ready to buy a new car, you can set a larger savings goal amount—let’s try $19,400 which is the average price for a used car.³ Now divide that by the number of months you can afford to save. In four years, you’ll be ready to buy a really nice car with cash—no payments necessary! Your EveryDollar budget will give you all the tools you need to take charge of your transportation expenses, track your car-loan payoff, and get started on your car-replacement fund. Keep in mind, though, that getting rid of your car payment means more than simply making the numbers work. It means making a change in the way you think. You have to stop believing you’ll always have a car payment and start believing it’s worth a bit of sacrifice and discipline to eliminate car payments from your budget for good! Ready to get started? Create an EveryDollar budget today!